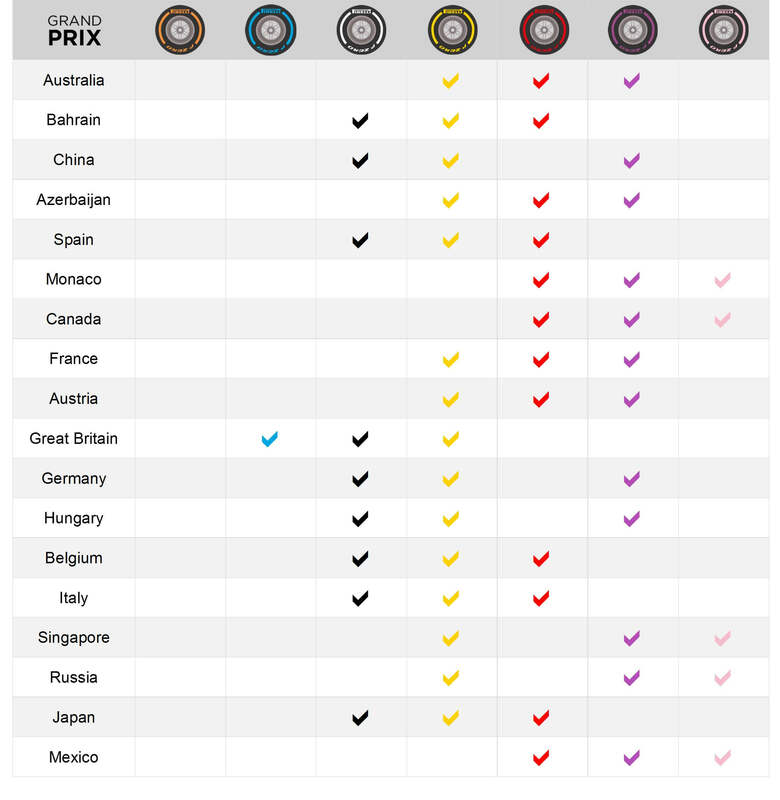 • Just like Germany, the notable feature in Hungary is the ‘gap’ in the tyre nominations, with no supersoft nomination between soft and ultrasoft. The medium is the hardest compound. • This is the first time ultrasoft has ever been chosen for the tricky and bumpy Hungaroring. • Overtaking is notoriously difficult in Hungary, putting the emphasis on qualifying well and finding an effective race strategy. Handling and agility is more important than outright power. • It's all about mechanical rather than aerodynamic grip, despite high downforce levels. • A one-stop supersoft-soft strategy was Sebastian Vettel’s winning option last year (selected by the majority of drivers) in a race that was also affected by an early safety car. • The ultrasoft comes to Hungary for the very first time. • The second in-season test of the year takes place on Tuesday and Wednesday after the Hungarian Grand Prix. Toro Rosso will run a second car both days for Pirelli’s 2019 tyre development programme. There was a test at the Hungaroring in 2017 too, so the teams should have plenty of data on this track. 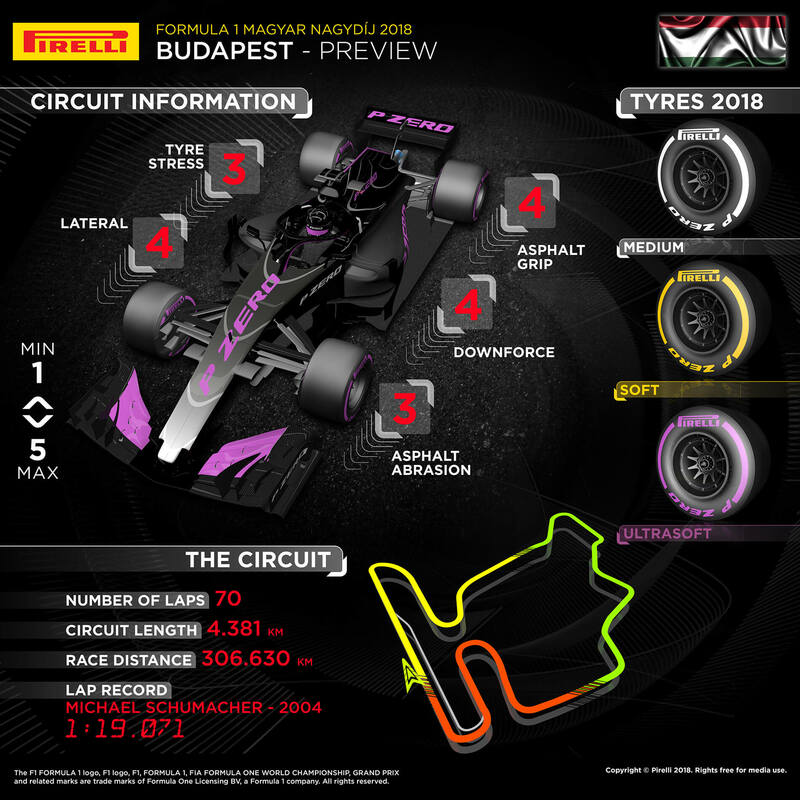 • The ultrasoft tyre has been widely selected for the Hungarian Grand Prix: Renault has made the most aggressive choice with 10 sets of ultrasoft for each driver.